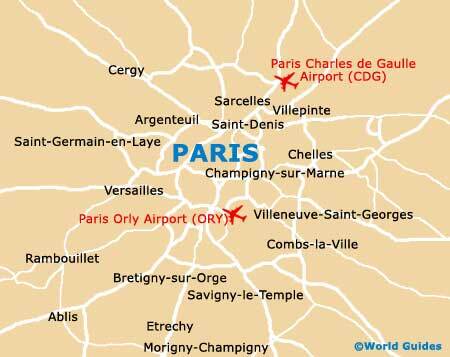 A city of romance and history, Paris is blessed with some of Europe's most stately and important landmarks, with a plentiful supply of classical French buildings and churches. Located within the Ile de la Cité neighbourhood and best viewed from the gateway to the nearby law courts, the Sainte-Chapelle is worth looking out for and holds quite a story, being the only building still standing within the city's former Capetian royal palace complex. There are many churches named Notre Dame all over the world, although it is the cathedral of that name in Paris that is the most famous by far, being visited by thousands every single day. It was here where many crusaders came to pray before leaving for the conflict in the Holy Wars. A magnificent religious landmark and dedicated to the Sacred Heart of Christ, the Basilique du Sacre Coeur resides within the vibrant district of Montmartre, close to the much celebrated Moulin Rouge. The Notre Dame Cathedral is a Roman Catholic church located within the city's 4th arrondissement, next to the River Seine, where it remains an outstanding example of European Gothic architecture. Famed for its giant rose window, this is an epic landmark with a lengthy construction period spanning 1163 to 1345, and the history of both the cathedral and the city are closely connected. 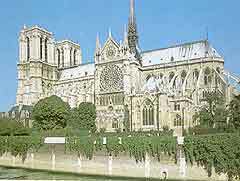 Many significant events in France have been staged here over the years, including England's Henry VI being crowned as the King of France in 1431, the wedding of Mary, Queen of Scots in 1558, the crowning of Napoleon in 1804, the canonisation of Joan of Arc in 1920, and the mass of French general and statesmen Charles de Gaulle in 1970. The interior of the Notre Dame is simply cavernous and during major services, congregations topping 6,000 can be comfortably accommodated. Building of the Sainte-Chapelle began at the very end of the 1230s and this royal chapel was consecrated in 1248, being reputed to rank amongst the most important architectural masterpieces standing in the Western World of today. The chapel was commissioned by King Louis IX in order to house many of his religious treasures, which include the actual crown of thorns said to have been worn by Christ. Visitors will discover some of the finest examples of 13th-century stained-glass windows in existence, as well as various elaborate sculptures and some fine Gothic architecture. During the French Revolution at the end of the 18th century, much of the chapel was destroyed and needed to be reconstructed, although roughly two-thirds of the windows are original. Although there are some who believe that the Sacre Coeur's crypt actually houses the heart of Jesus, most tourists simply come here to wander the streets of Montmartre, admire the splendid views of the Parisian cityscape, and perhaps enter the basilica to light a candle for a loved one. This basilica was built between the years of 1875 and 1914, following the Franco-Prussian war defeat of 1870. 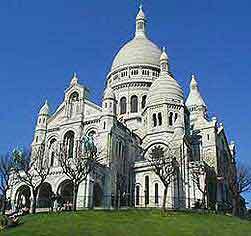 Finally consecrated in 1919, the hilltop Sacre Coeur marks the highest point in the entire city. Offering appealing views of the Latin Quarter, this majestic church stands on the southern side of central Paris, within the 5th arrondissement and close to the River Seine. The Panthéon was built at the request of Louis XV, being constructed to pay tribute to Sainte Genevieve, the patron saint of the city. Building work was slow and despite commencing in 1758, the church was not completed until 1790, partly due to economic problems and the death of Jacques Germain Soufflot, the principal architect. Everyone coming to Paris is more than a little familiar with the Arc de Triomphe, the crowning glory of the Champs Elysées, although few realise just quite how large and impressive this historic landmark actually is. Inaugurated in 1836 after some three decades of construction work, the arch measures in at approximately 50 metres / 164 feet in height by some 45 metres / 148 feet in width. It fact, to mark the end of the First World War, renowned aviator Charles Godefroy actually flew his biplane through the archway in 1919 as part of the celebrations. It is possible to enter the arch, where a steep staircase will lead you to a small museum at the top, documenting its construction. However, the views of the traffic on the Champs Elysées are quite distracting. This famous river flows from east to west through the heart of the city and divides Paris into the Left Bank and Right Bank. This famous square, which is situated in the heart of the fashion district, features a beautiful church.